Just over a year ago, a great uncle of mine, Charles E. (“Bud”) Barth passed away. Charles was a front line medic in the European theatre of the Second World War (also in the Battle of the Bulge). Years prior I had the chance to get to know him better, even interviewing him for the United States Veteran’s History Project. Because I blogged on Charles both here and here, another relation of someone attached to the same medical unit was able to find what I blogged, track me down, and e-mail me additional photos of Charles with his WWII unit. Here are those two photos of Charles with his detachment, these sent to me by the daughter of S/Sgt Kutik (who served alongside Charles). Note: Charles originally hailed from Braddock, Emmons County, North Dakota. 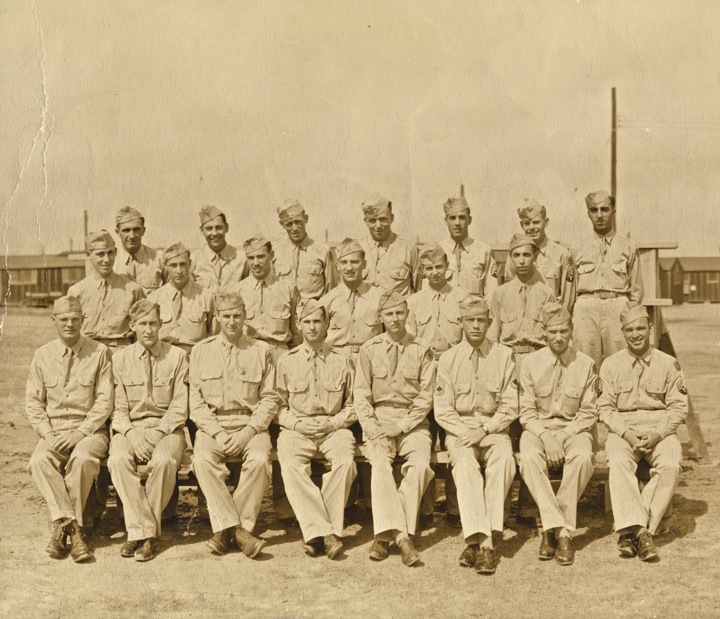 409th Medical Detachment, Barth is front row, second from the left. 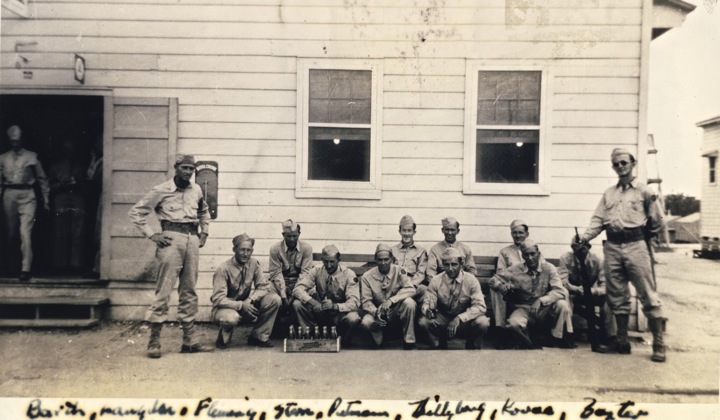 This entry was posted on Tuesday, August 20th, 2013 at 9:22 am	and tagged with Braddock, Charles E. Barth, David L. Barth, Emmons County, History, North Dakota, Second World War, World History and posted in Uncategorized. You can follow any responses to this entry through the RSS 2.0 feed.